Taj Mahal has been considered as the embodiment of adoration. It is one of the Wonders of the World. The magnificence of the place is something that everybody needs to explore it once in a lifetime. Delhi and Agra city tour is specially designed for those who want to explore richness in weekends. Travelogy India puts your dreams in reality. Let’s begin a journey with the short itinerary. On Day-1, our representative will be present at the Delhi airport to welcome you. 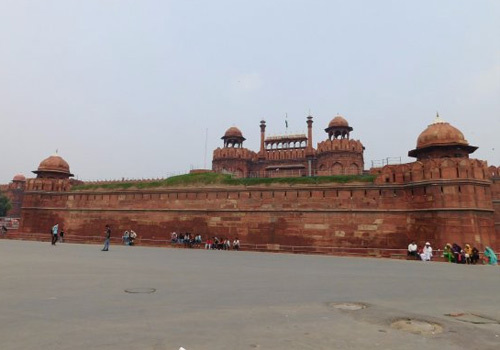 While reaching to the pre-booked hotel, he will give a brief idea about 3 days Delhi Agra Tour on the way. After arriving at the hotel, enjoy the welcome and check-in procedure by hotel staff. Refresh in the calm environment of a hotel for the rest of the day. Day-2 is full of amazing sightseeing. Wake up early morning, take a heavy yet delicious breakfast, and be ready for Delhi tour. First, we will visit Red Fort, Jama Masjid and Rajghat. The list doesn’t end here. The rest of the day will be more excited with India Gate, Lotus Temple, President House, Akshardham Temple and Qutub Minar. Our day will end with the tempting dinner and later, overnight stay at the hotel. Day-3 is dedicated to the symbol of romance, the ‘Taj Mahal’. Wake up in the morning, have a delicious breakfast and enjoy the morning. After heavy breakfast, we will leave for Agra city sightseeing. Enjoy the beautiful symbol of love, the ‘Taj Mahal’, take photographs and make memories with one of the wonders of the world. We will also visit Agra Fort and Sikandra. Enjoy your day in Agra and leave for Delhi by the evening. We will reach Delhi by the early night. On arrival at Delhi, our representative will drop you to the airport or railway station to back in the routine life.